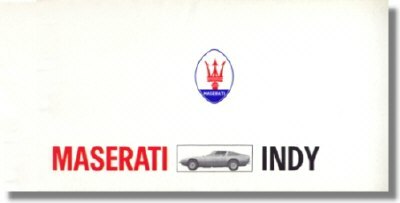 Fold-out brochure for the 1970 Maserati Indy 4200. It measures approximately 13 x 6.5 and folds open to some 13 x 19.5 inches. Italian / French / English / French. 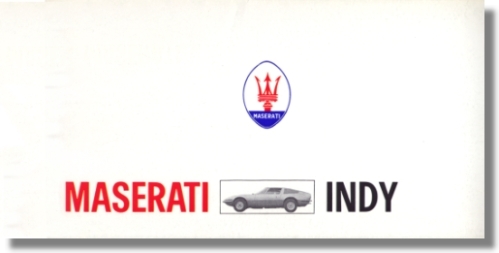 Maserati print# 3000-X-70, issued in October 1970 in a quantity of 3,000 pcs. Official Maserati factory issue and near mint condition.